Viva La France! This cockade is made with 7/8" wide grosgrain ribbon and measures approx. 3" across. 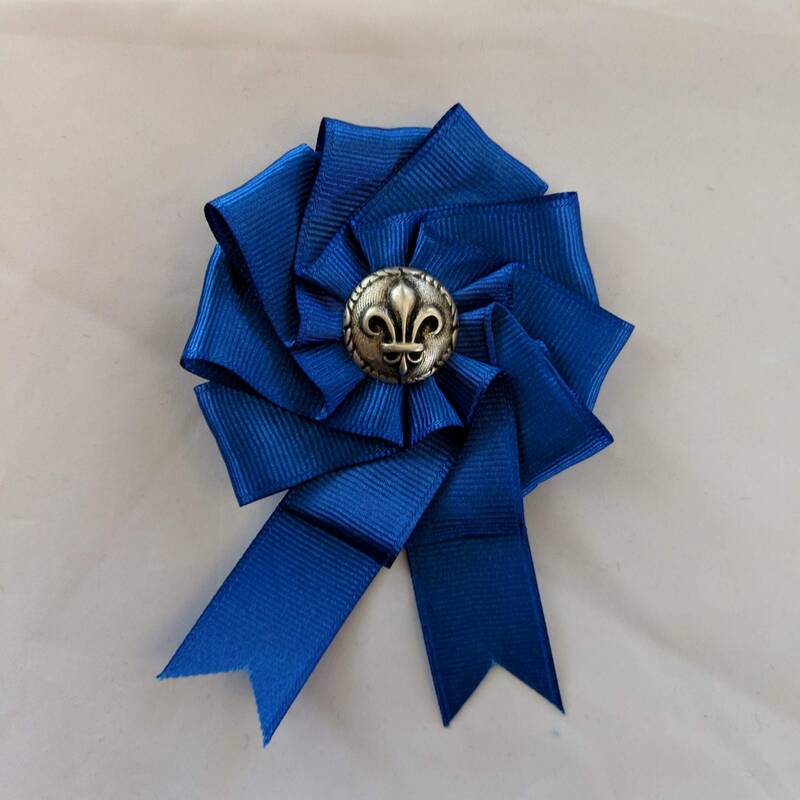 It has an antiqued fleur de lis domed shank button in its center. 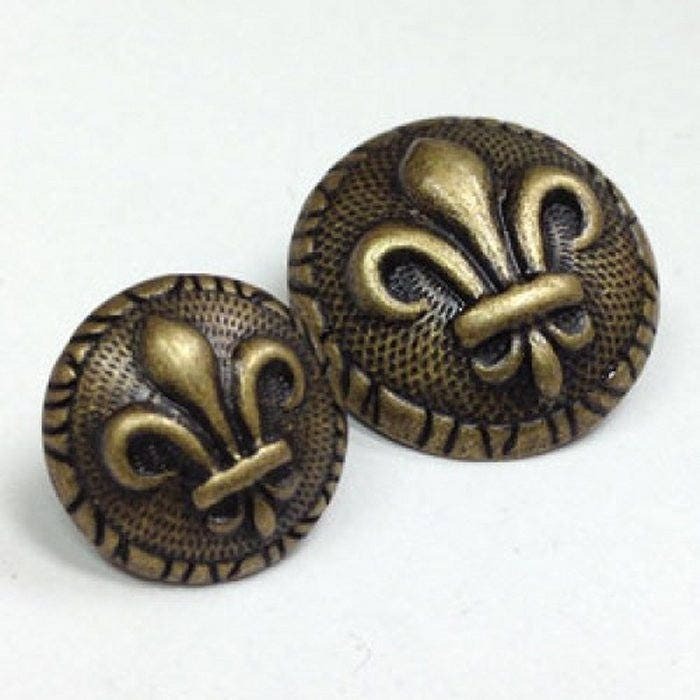 There is a bar pin on the back for attaching it to clothing or a cloth hat. 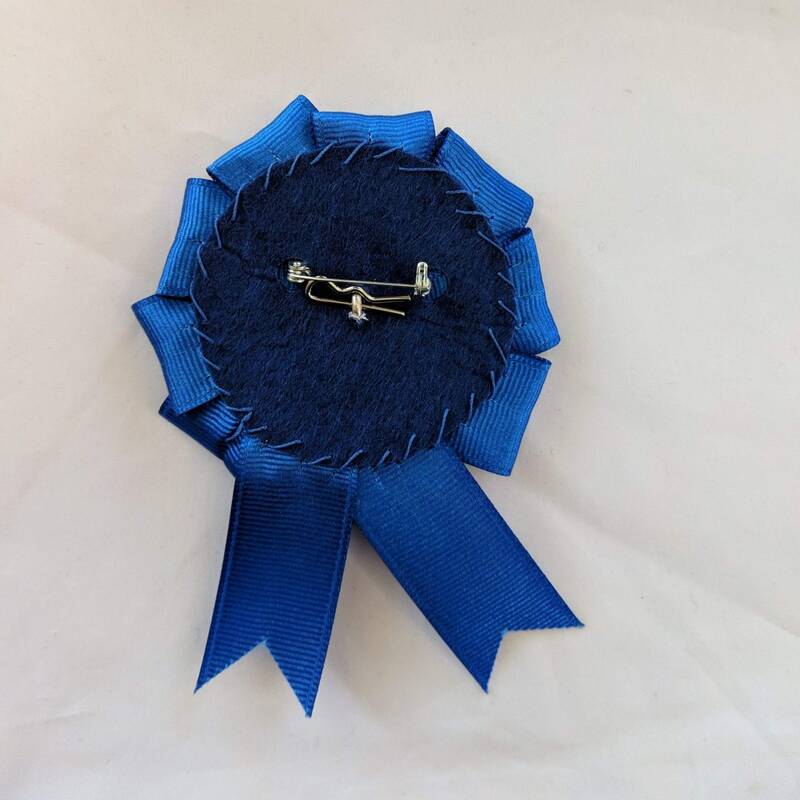 Available in Blue or White Ribbon. 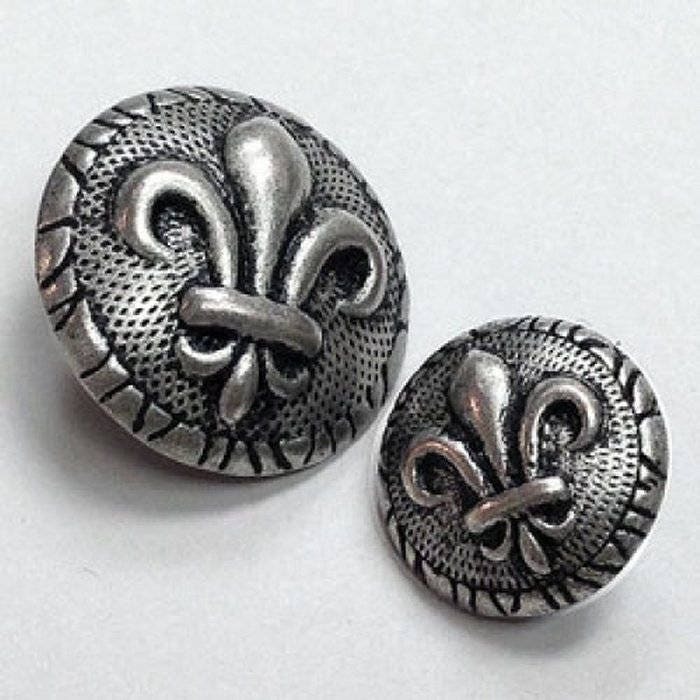 Currently, we only have silver tone buttons, but plan to have gold ones in the near future. CAUTION: The pin will not go through a felt hat without bending and possibly breaking. Please stitch your felt hat side up with thread or a thin ribbon and then attach the pin to the stitching. You can find other cockades in the Hats & Headwear Section and in the Cockades & Rosettes Section. HISTORY: Cockades were widely worn to designate country allegiance by wearing the ruler's heraldic colors. A white one represented the Bourbon dynasty previous to the French Revolution. Earlier, the French coat of arms had a blue background with gold fleur de lis. 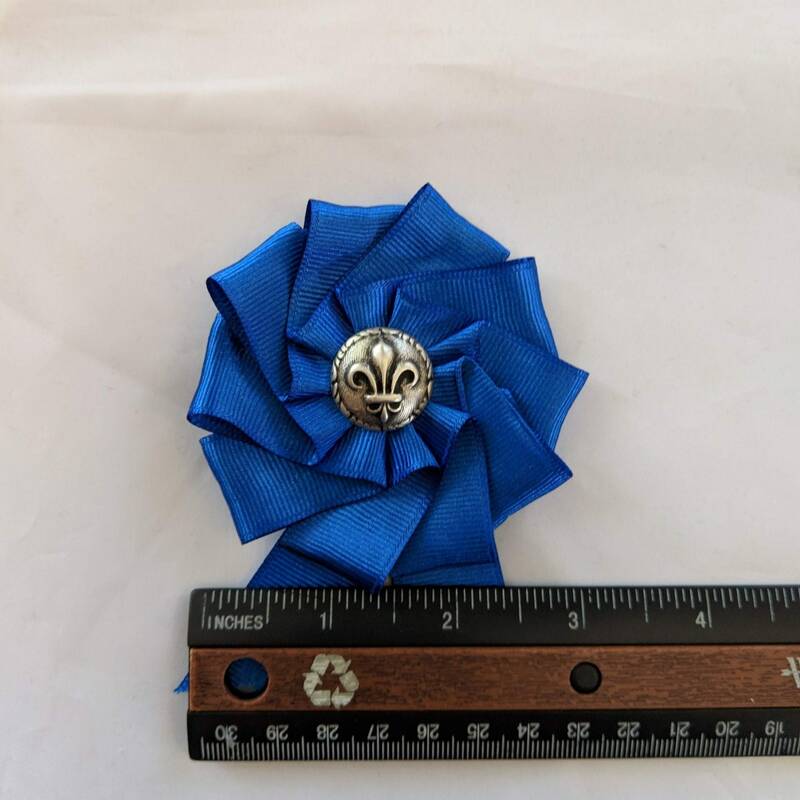 In the reign of King Louis IX during the 13th c. the three petals of the flower were said to represent faith, wisdom and chivalry, and to be a sign of divine favor bestowed on France. During the next century, the tradition of Trinity symbolism was established in France, and then spread elsewhere. However, some say the 3 petals represent the French people, those who rule, those who pray and those who work!